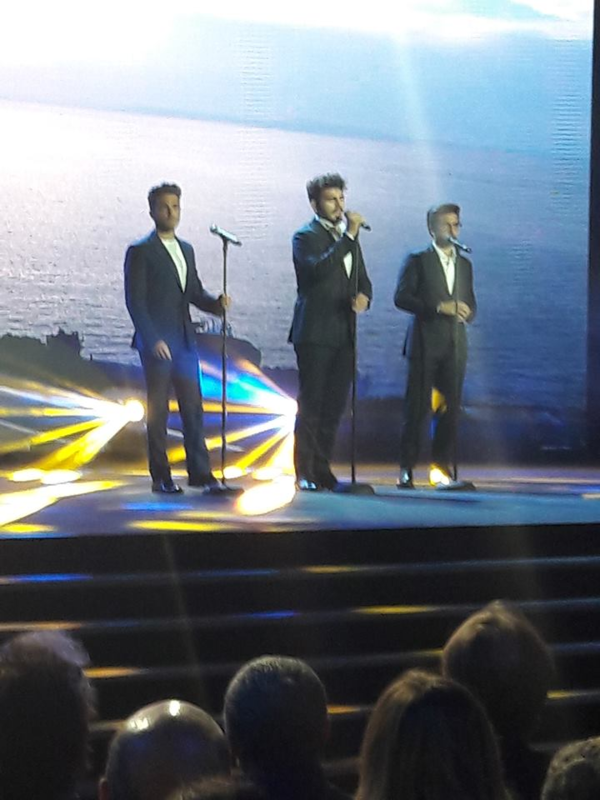 Saturday, August 25, Piero, Ignazio and Gianluca, were guests in Puglia, at the NOTTE DELLA TARANTA. It is a popular Apulian festival where, during the evening, typical Apulian songs are played and popular dances are performed like the PIZZICA. It is a party that has a lot of involvement by the public, there were 150,000 people dancing and singing in a festive atmosphere. The guys of IL VOLO were guests in the backstage, but did not perform, They attended the popular festival and gave interviews, like this one, I translate for you. P = We were really curious to see this event, and test the air, to be able, perhaps, to come next year, who knows. G = Yes, absolutely beautiful to see this culture, which is not only famous in Italy, but all over the world. When you start dancing, this rhythm gets inside you, it’s nice, we’ll have fun tonight. Journalist asks Ignazio = Do you already have any idea how you could adapt your voice to a Pizzica rhythm? I = Actually no, but we can always work on it. It’s nice to see how this event is focused on folk songs and dances and how much tradition brings everyone into such a big event, so why not participate too? Next year or, in two years, we too might participate. It would be a great pleasure. Journalist = Is there an evening, especially in the past years you know, or have you seen this event? P = We must be sincere, NO. But we have always heard of the NOTTE DELLA TARANTA and this year, being free from engagements in these days, we decided to come and spend a couple of days in this magnificent land that lately is visited and loved by tourists from around the world. And it is a pleasure for us to be here. Journalist = But will you come to this event, as a guest, or as a concert teacher? P + I + G = (laugh) As guests, we do not think like teachers. G = We cannot promise our presence, next year, of course, we would like it very much, but many things happen in a year, this year we came, we ca not wait to have fun, and why not, the next year we might participate. P = The power of music is this, to see thousands of people united to dance LA PIZZICA. Journalist = You are used to a large audience. P = It is never enough. Journalist = Do you know a Salento song and can you sing it? I = Thanks a lot to everyone, see you next year. International guest of the NOTTE DELLA TARANTA the singer LP, the American singer-songwriter of Italian origin, her name is, Laura Pergolizzi, she sang her most famous song “LOST ON YOU” to which she gave a rhythm to Pizzica, then she sang too a song in Italian. Here is LP in two photos with IL VOLO. The boys of IL VOLO on their arrival at the party were recognized and very welcome. Here are some shots with people and their arrival. Also this time the guys were very appreciated. What do you think of this new adventure? 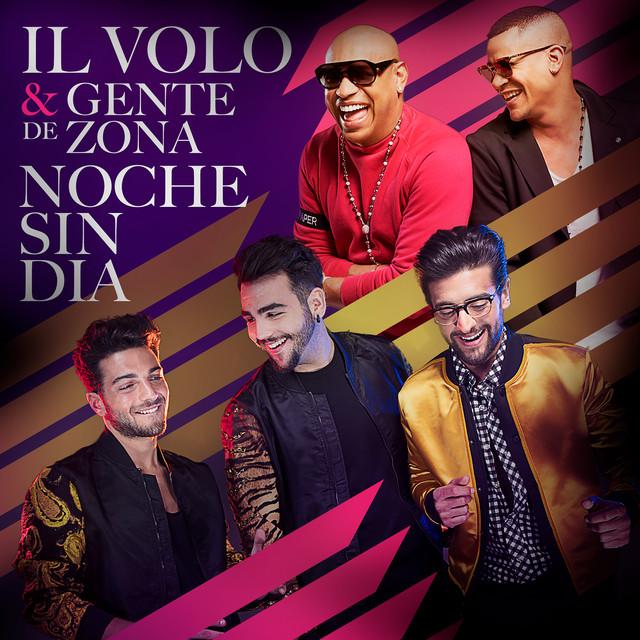 Would you see IL VOLO to sing to the rhythm of the Pizzica? Did you know this popular festival in Puglia before?